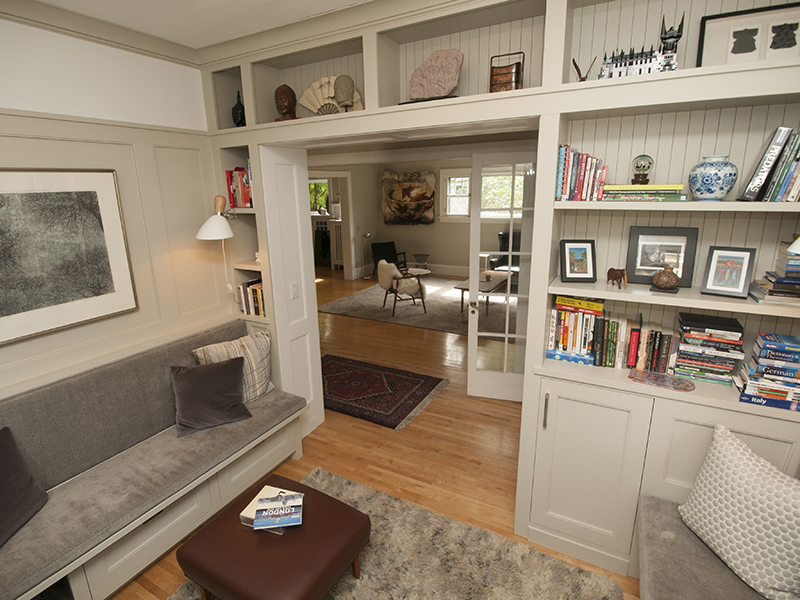 This 1914 house near Lake of the Isles in Minneapolis had a lot going for it; unique structural features, a desirable location, and owners committed to honoring their home’s age and charm. What it didn’t have was a workable floor plan for the busy couple (and their active Cavalier King Charles Spaniel puppies). The choppy layout made room-to-room traffic awkward. 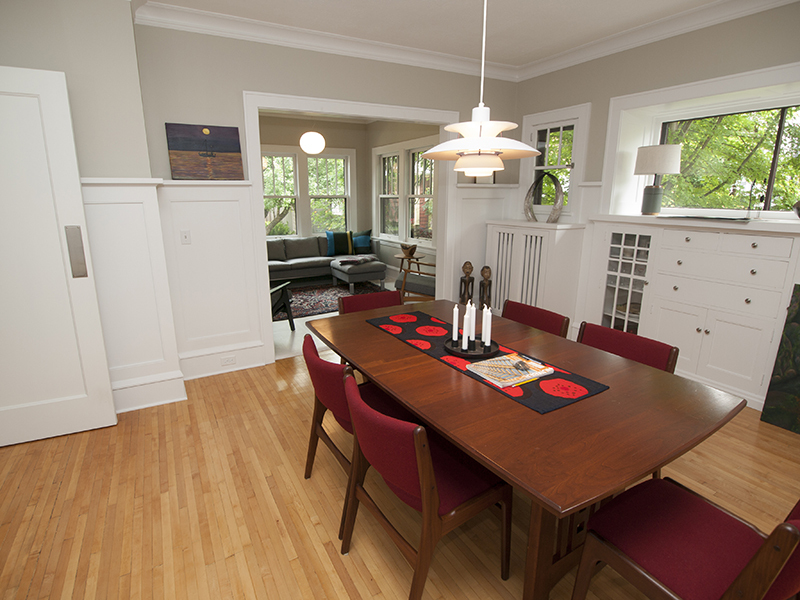 The kitchen space was cramped and outdated, and the dining room needed refreshing. 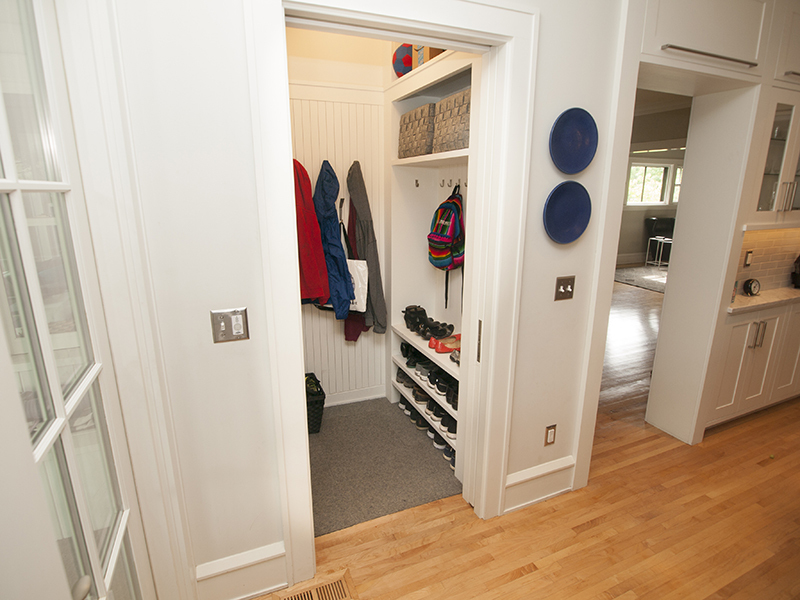 Working closely with the team from Albertsson Hansen Architecture, Ltd. (a&h) the owners shared their needs, wants, and budget. With a final design in-hand, we went to work. 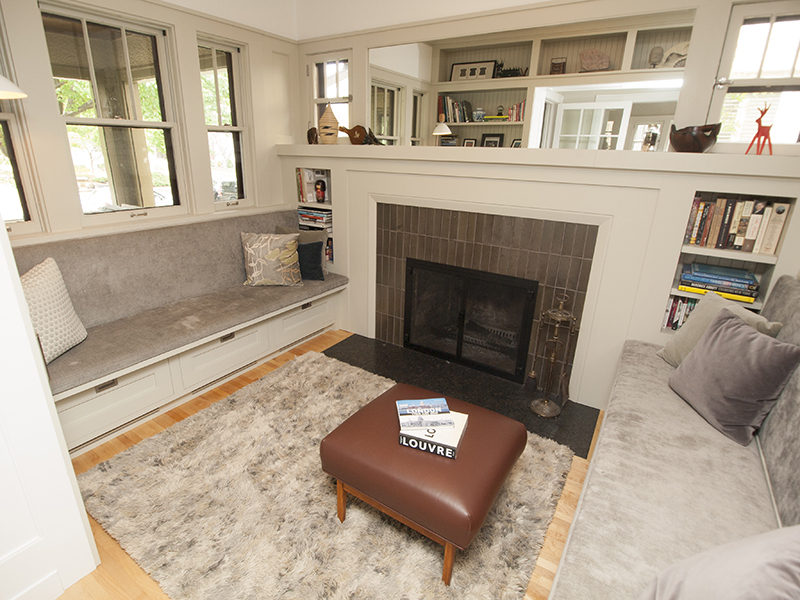 An unused space at the front entrance was converted into a cozy nook with built-in shelving and is now an ideal spot to curl up next to the fireplace. 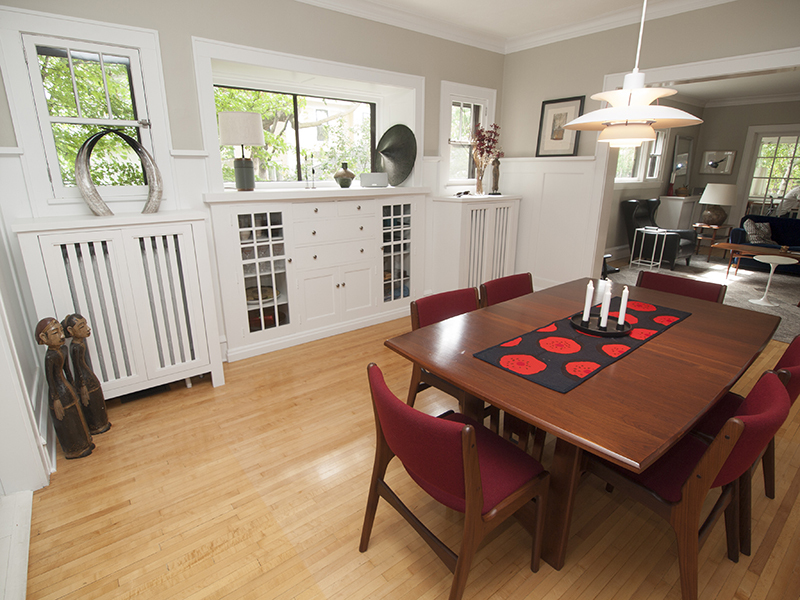 The dining room got a stylish update with white paneling and picture rails, a custom-built hutch, and attractive radiator covers. 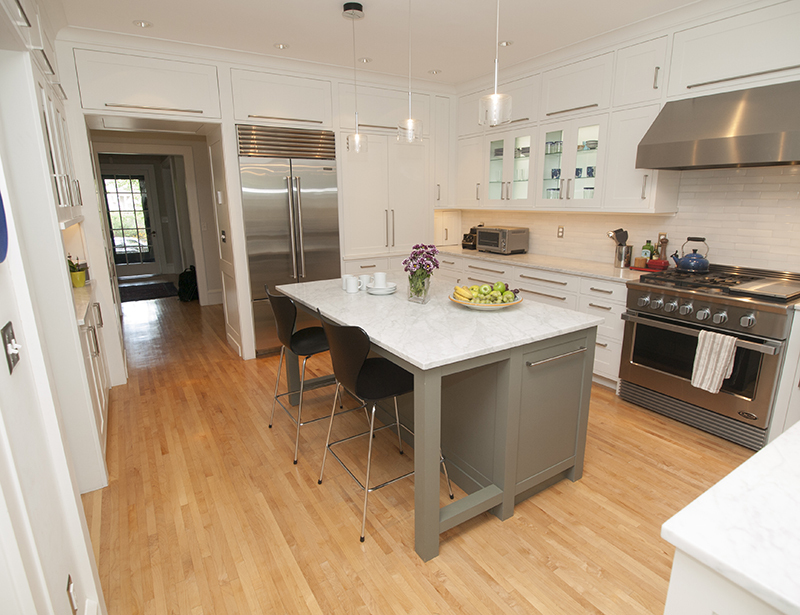 The kitchen was expanded and completely reworked. 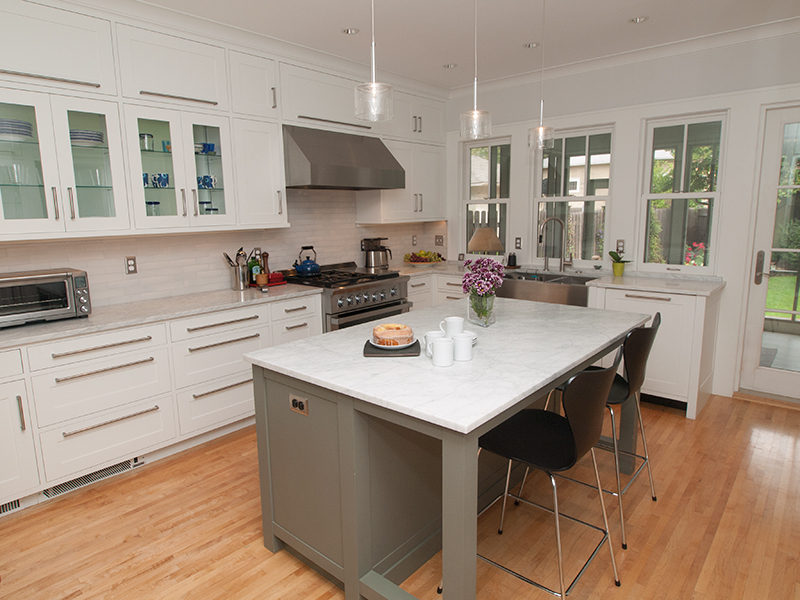 Bright new cabinets with interior lighting and shiny white subway tile create a clean, airy feel. 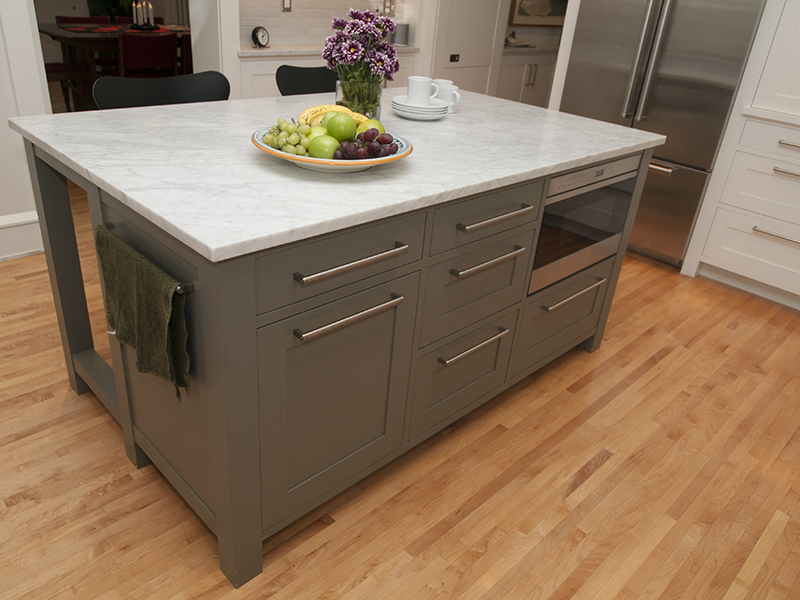 An attractive and highly practical center island added much-needed space for meal prep and eating, state-of-the-art appliances were put in, and new wood floors matching the home’s original flooring were installed. 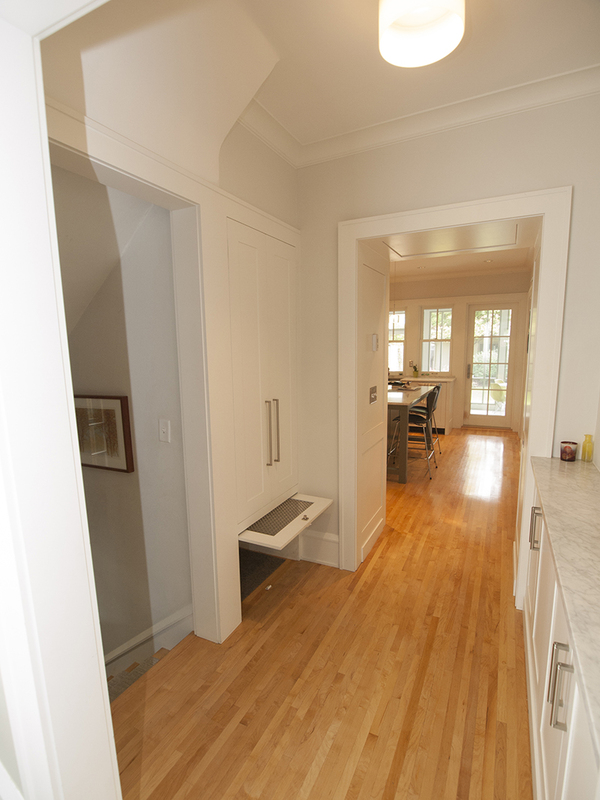 A handy mudroom off the kitchen features ingenious half-sized pocket-doors, and the new sunroom’s custom windows offer a sunny spot to sit back and relax. 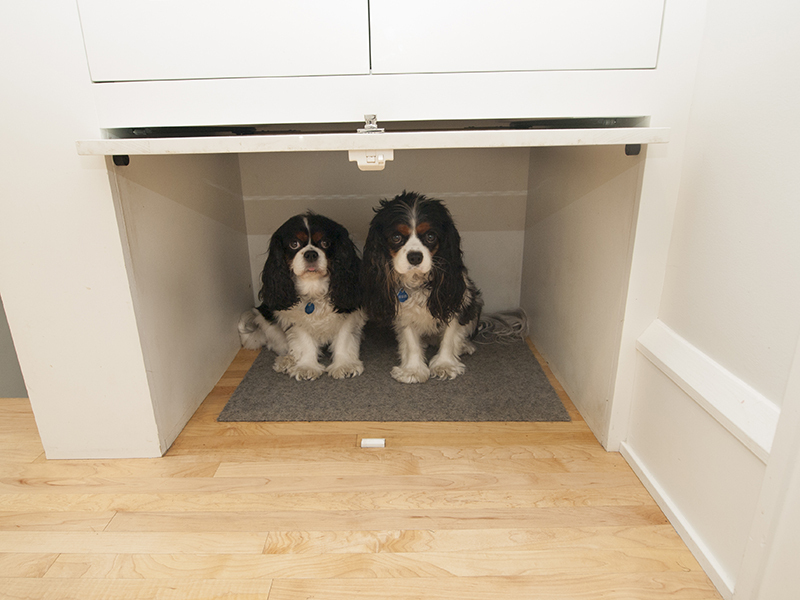 We even included a special kennel space for the pups! 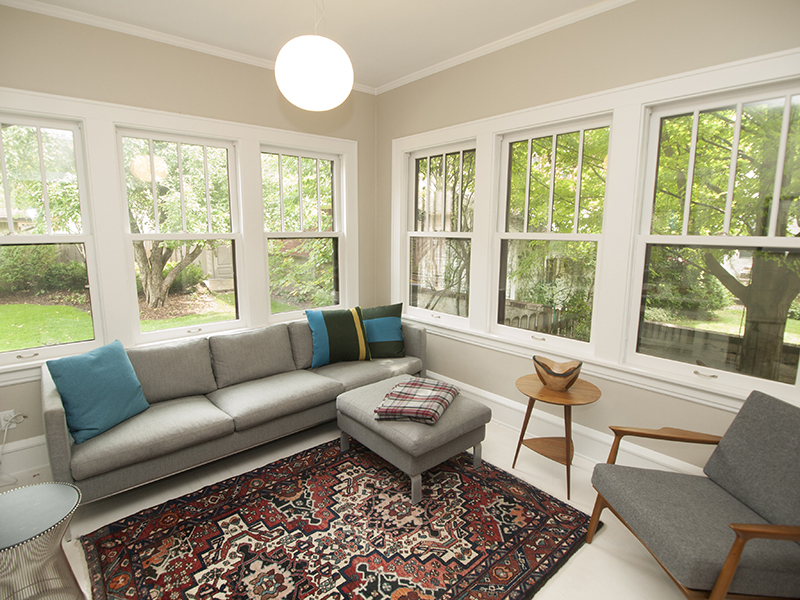 The homeowners now enjoy ample space, seamless traffic flow, and modern-day touches that suit the home’s historic character.